We helped BBC Three reconnect with its audience by redefining the brand and adapting it to its digital habitat. 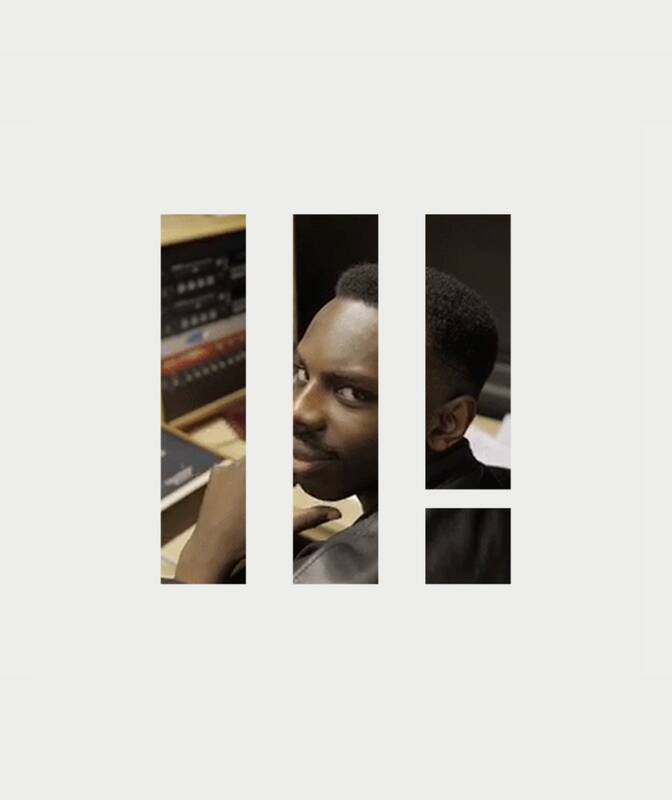 The reframed system flexes to BBC Three’s diverse range of content without losing its personality, building brand attribution across BBC and third-party platforms. BBC Three had a distinctive brand identity and logo but it wasn’t built for the digital world where its content now lives. Our work needed to be dynamic enough to express BBC Three’s distinctive personality and work harder at engaging its core audience of 16–34-year-olds. In 2016 the BBC was the first major broadcaster worldwide to move one of its channels online only. Our first job was to audit the existing brand system – to understand how it worked and identify its strengths and weaknesses. Through desk research and workshop sessions with the BBC team, we reviewed every element of the brand, and researched other leading media brands. The insights gathered informed our thinking and creativity throughout the project. 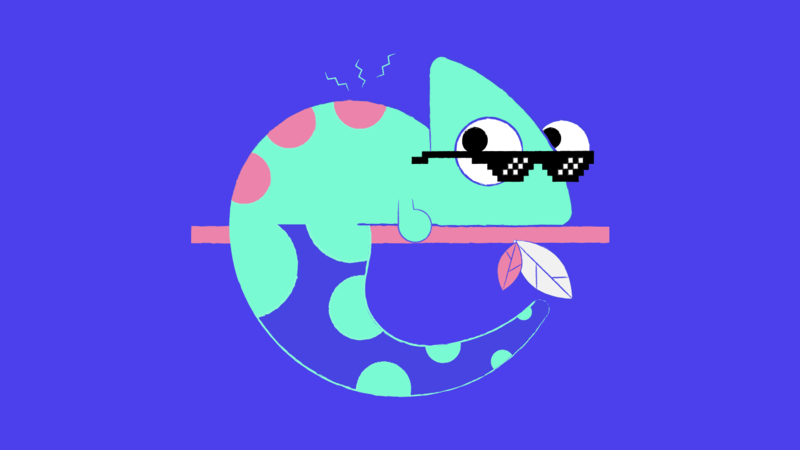 Having been through several recent iterations, the brand had different sets of values that were confusing for the BBC Three teams making content. Through a collaborative process, we developed a new, memorable and unifying set of character traits – Brave, Smart and Open. 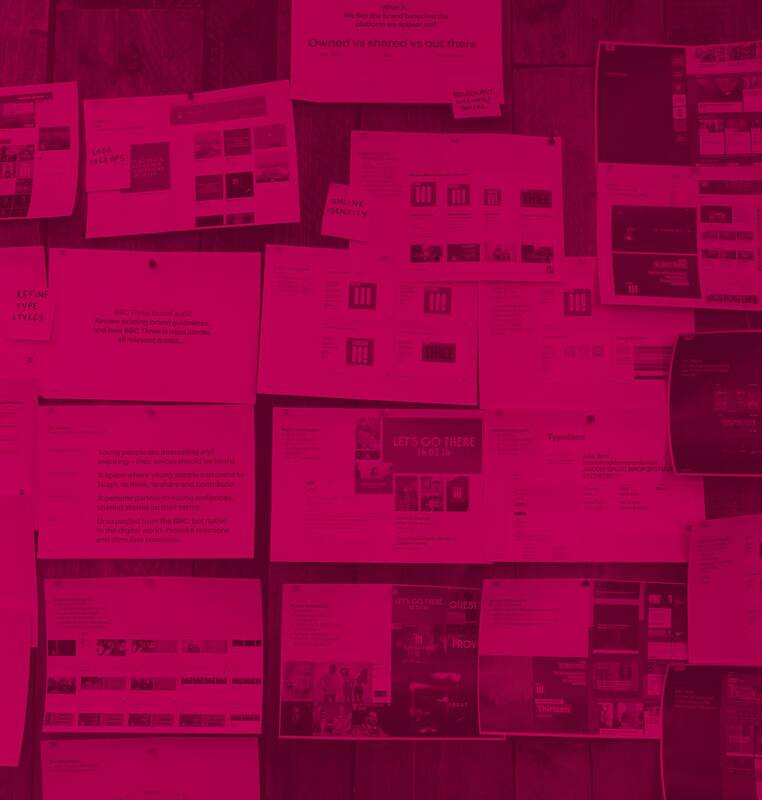 These guided our evolution of the brand’s assets and informed how it should behave online. With several logo versions for different uses, the existing identity was too complex. 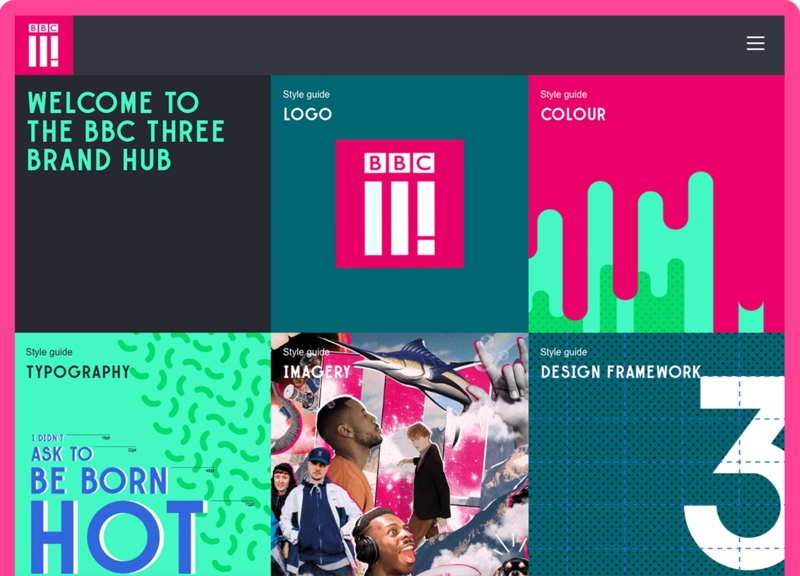 We simplified the elements, freeing the ‘Tricon’ logo from its BBC block to create a flexible and highly visual brand asset that can be used in creative ways to support attribution of BBC Three’s content. To convey the character of the brand and build recognition, we introduced a bright secondary colour palette, a looser typeface and a framework of illustration styles. 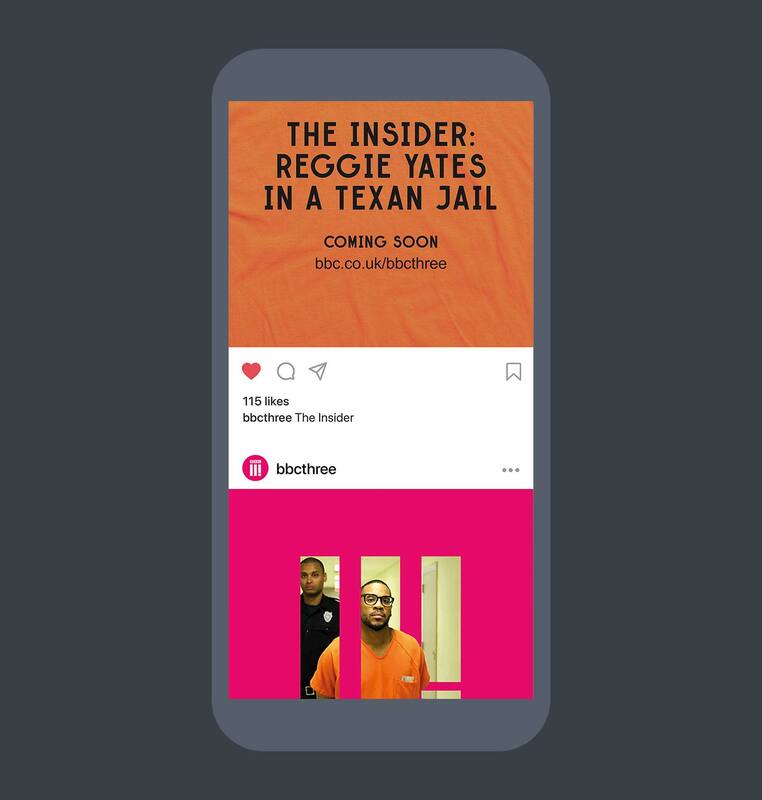 This playful but coherent design system thrives on social channels, flexing the brand to BBC Three’s diverse range of genres and topics, and keeping it fresh over time. 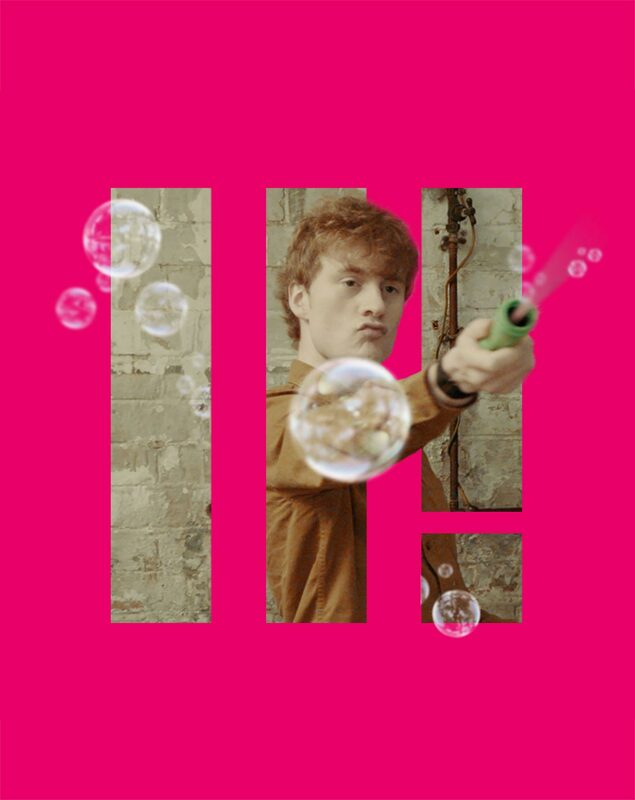 As a digital-first brand, BBC Three needed to be dynamic. Instead of a static set of guidelines, we built an online Brand Hub which introduced the new brand and shows how to use it. The hub includes a range of motion content and other downloadable assets that are continuously being updated to reflect current trends and themes.